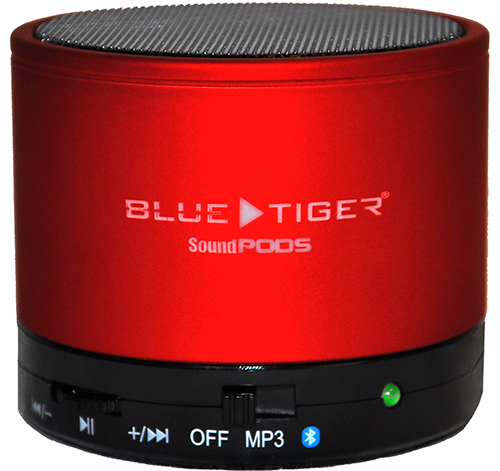 This little speaker puts out big sound! 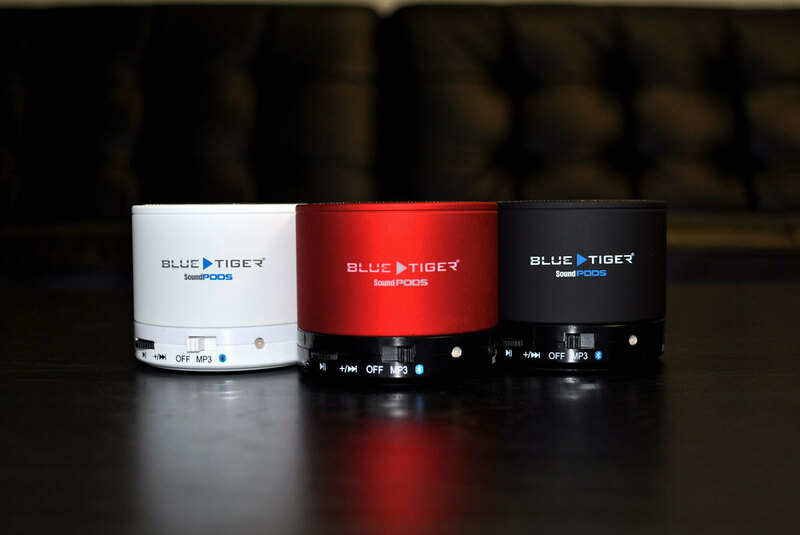 SoundPODS by Blue Tiger are heavy duty speakers in a small form factor, achieving exceptional sound quality in the palm of your hand. 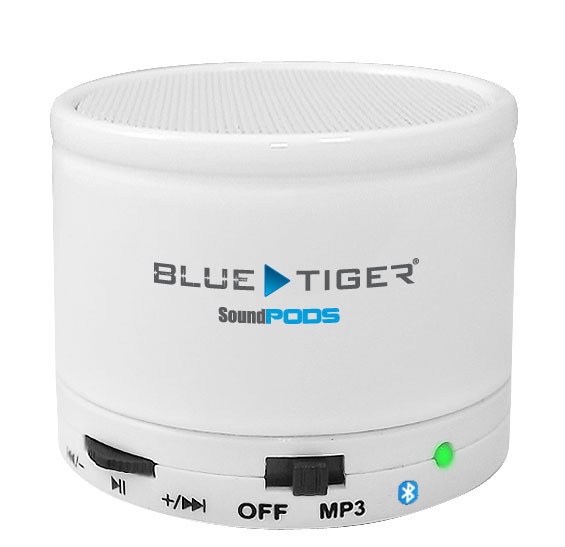 Long battery and a myriad of ways to connect your music means that SoundPODS will be pumping out your tunes all day long. Perfect for use in hotels, at the beach, in the gym, or around the house. 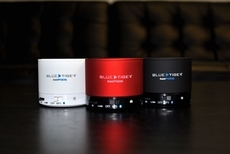 This speaker has enough volume to fill most rooms easily. 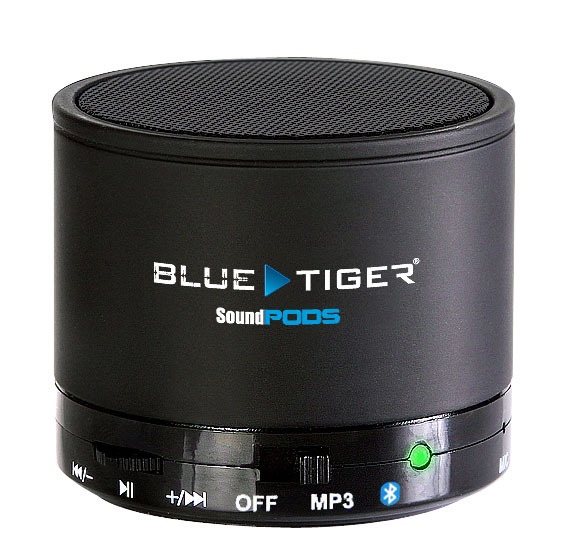 Works with laptops, tablets, phones, or anything with Bluetooth or a 3.5mm headset port.